Today was most definitely another relaxing day with my mum around the house. We had Christmas dinner for lunch and it was as wonderful as in December! I’m now back in London after a 3 hour travel, luckily the snow hasn’t affected my journeys at all so I would call that a success! 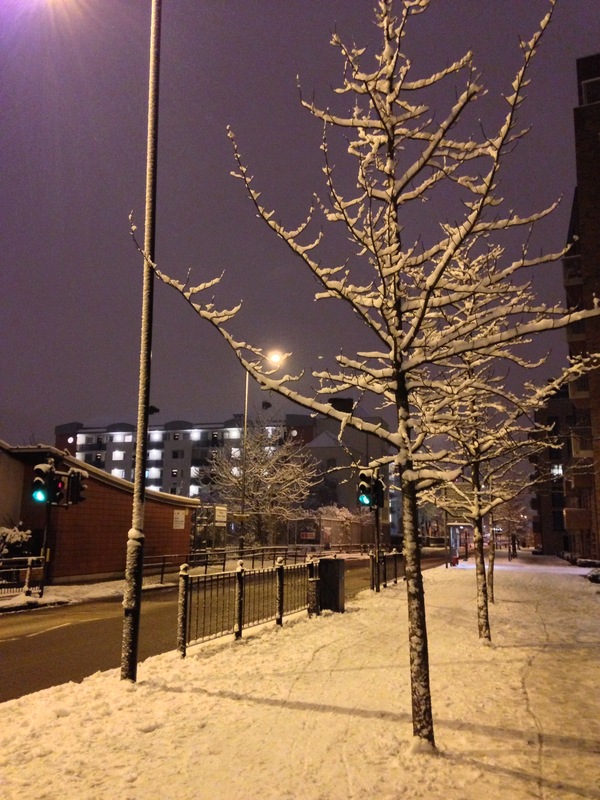 London is a lot snowier then I expected, but it really looks beautiful – I took this photo at 11pm, just as I arrived home.